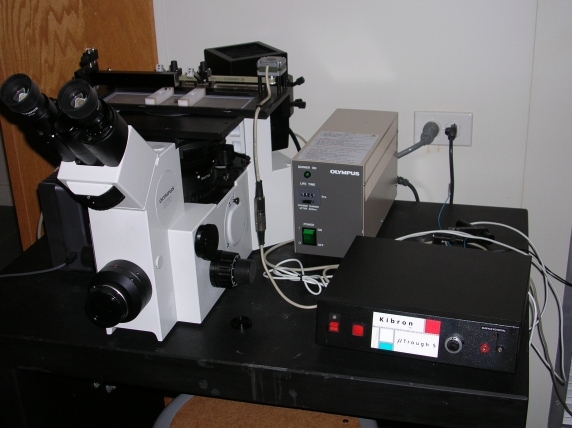 It is an Olympus IX-70 inverted microscope that images the aggregation process of fluorophores or amphiphiles mixed with 1% fluorophore that allows the imaging without perturbing the properties of the main compound under investigation. The compression-decompression of the monolayer (barrier movement) is controlled by an electronic box made by Kibron Inc. The images can be focused through the oculars or directly acquired using a computer. Image acquisition is achieved using Optronics software.